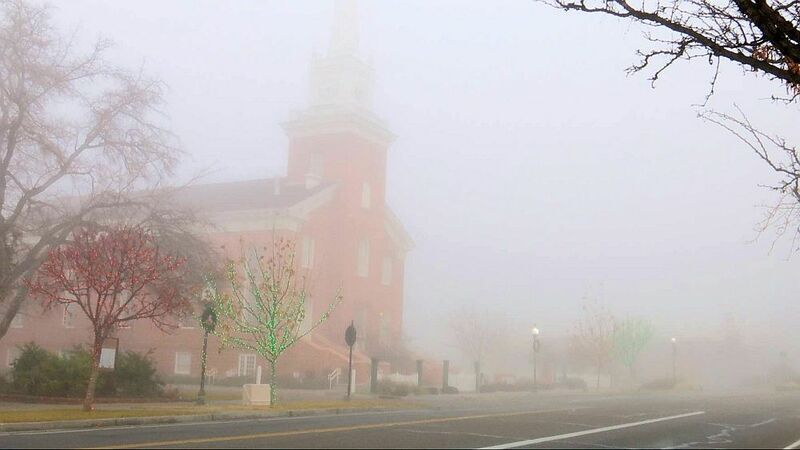 ST. GEORGE — A foggy forecast may complicate some drivers’ Tuesday morning commute. According to a hazardous weather outlook issued by the National Weather Service, fog may develop overnight in valleys across Southern Utah. The fog is expected to linger into Tuesday morning. A dense fog advisory has also been issued for parts of southern Nevada and the Arizona Strip, including roads surrounding the Hildale/Colorado City area. The advisory is in effect until Tuesday at 11 a.m. MST / 10 a.m. PST. The advisory states visibility may be less than a quarter mile at times, creating the potential for hazardous driving conditions. The fog event on the 23rd was awesome, so rare here. Worked outside clearing leaves all day, and really enjoyed the weather anomaly.